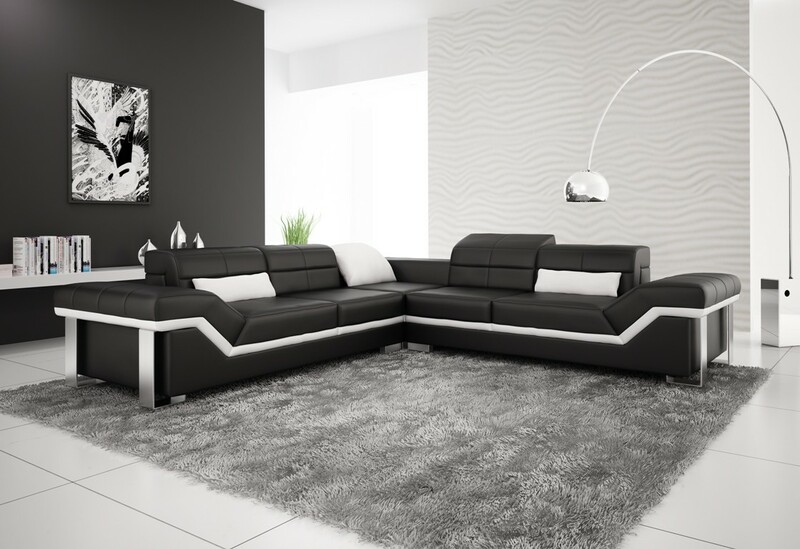 Flowing white accent lines help to distinguish the modern, sleek and bold styling of the Rimini Black Corner Suite. Rimini is an Italian designer that understands what it takes to draw in the eye. The durable and striking chrome legs bring yet more vibrancy to this already impressive offering. Deep and comfortable seats, ample headrests and wonderful cures blend together to create a wonderful offering. Created by expert craftsmen the Rimini Black Corner Suite is the perfect option for those looking for a modern and captivating seating option; fine leather sectional sofas have never been more appealing than Rimini. Italian leather used to all wearing parts. Top Grain Italian Leather used to all seating area with solid wood frame making this suite top quality. High Density foam to ensure sofa does not lose its shape and no sagging.